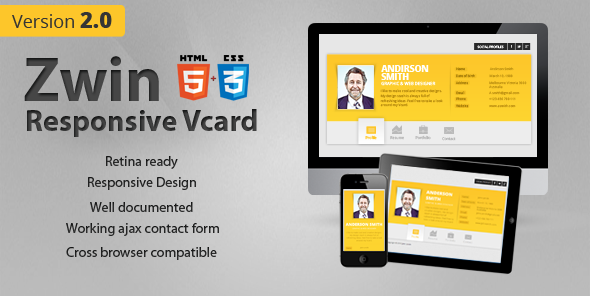 Zwin – Responsive Vcard Template. It’s simple! Just download and install in a few minutes, you can show your online card to your friend, customer or employer in an interview by phone or tablet. Because Zwin is a responsive template, you can view your website on pc as well as handheld devices. You can also link to your social profiles, display your portfolio in many media format such as image, youtube video, flash…. Share the post "Zwin – Responsive Vcard Template"